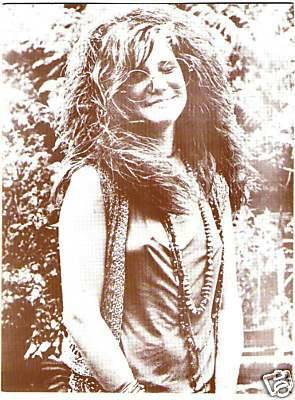 This sepia poster print is of Janis Joplin during the pearl album days. Another great shot of Janis. Sepia is the brown style photo technique that makes photos look old. It measures 11' x 14". Great as a gift or perfect for the home or office. Fits a standard size 11 x 14 frame.